Following his bounce-back season last year, Mike Williams can collect an even bigger paycheck. The fourth-year WR out of Syracuse signed a new six-year, $40 million contract Wednesday morning that will keep him in Tampa through 2018. He’s scored 23 touchdowns in his first three seasons with the Buccaneers – nine of them coming in 2012 – as he finished just shy of the 1,000 yard mark. 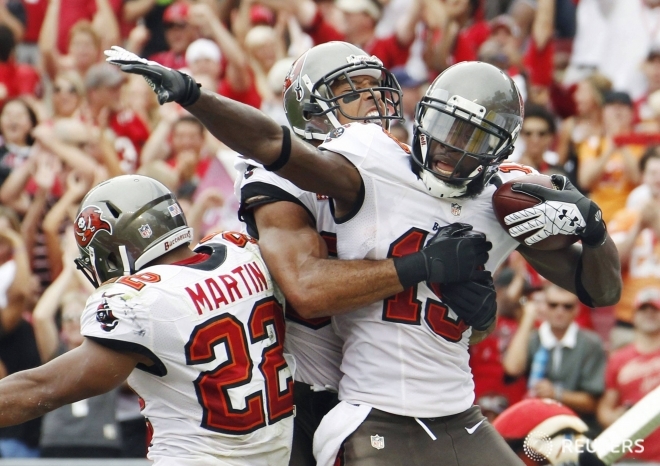 He’s benefitted a lot from last year’s signing of fellow wideout Vincent Jackson. As we saw last year, with those two receivers, the Bucs have a legitimate deep threat that allows them to get the ball downfield a lot more than….well, ever. Now it’s up to Josh Freeman to make sure they keep catching balls and piling up the yards – and the points.